Has your Assembly Member sent a letter like A.M. O'Donnell's to Speaker Silver? 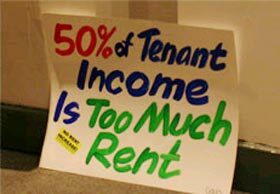 Don't let J-51 be renewed with tenant protections! Ask your Assembly Member to send a letter like the one by Assembly Member Daniel O'Donnell to Speaker Sheldon Silver. Read it below. 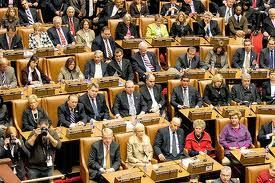 Albany's legislative business is still not completed - and tenant protections hang in the balance. Please tip the balance in our favor. ASSEMBLY MEMBER AND STATE SENATOR, andSPEAKER SHELDON SILVER518-455-3791, http://assembly.state.ny.us/mem/?ad=064&sh=contactGOV. CUOMO, 518-474-8390, http://www.governor.ny.gov/contact/GovernorContactForm.php . Capping MCIs (Major Capital Improvements): A2459-A(Cal 445) O’Donnell /S523a Krueger, L.Protecting preferential rent tenants from huge increases: A1364-A(Cal 442) JeffriesPutting rent controlled tenants under the Rent Guidelines Boar:, A1892-A(Cal 444) Rosenthal, L./S5699aEspaillatReforming the Rent Guidelines Board: A7234a (RR 93) Rosenthal / S5603a Espaillat Finally, ask them NOT to approve A10798 (Lopez et al.) about tax breaks for landlords. Having plied the Rent Guidelines Board with information, chants, signs, and a rally, tenants won a partial victory with the lowest stabilized rent increases in many years. If your lease renewal goes into effect any time from October 1, 2012 through September 30, 2013, you must pay an increase based on the June 21, 2012 RGB order. How much of an increase depends on what the current rent is. If your current rent is $1000 or more, you will pay 2% increase for a 1-year lease renewal4% increase for a 2-year lease renewal.But if your current rent is less than $1000, you will pay $20 increase for a 1-year lease renewal$40 increase for a 2-year lease renewal.The Rent Guidelines Board (RGB) has imposed this "poor tax" so that tenants whose rents are below $1000 - usually older tenants who've been in their homes longer will pay higher increases. 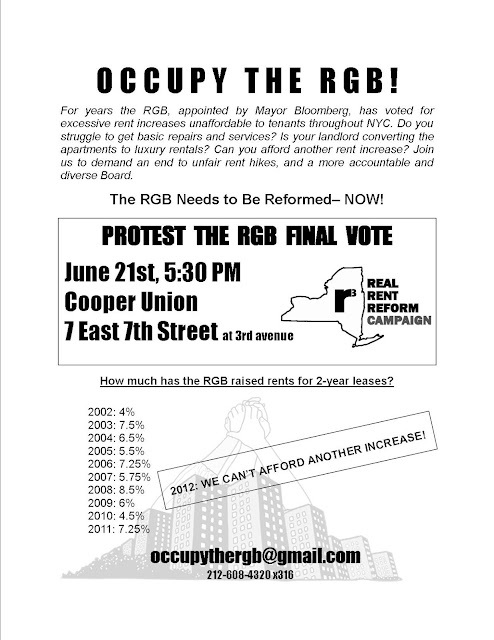 Income down, rents up: Tell the RGB NO! Don't renew J-51 without tenant protections! Tell his aide that you're part of the Real Rent Reform Campaign - or one of its member organizations. Landlords desperately want renewal of J-51, a tax break they get for making major building repairs. 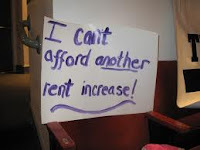 But they want it renewed without tenant protections - and tenants need more protection, not less. 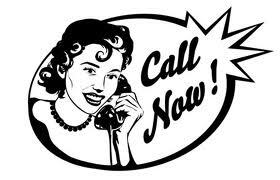 So call! You can download the "Click and Save" in English or in Spanish. Click on "read more" below for the Gotham Gazette excerpt. The State Assembly is voting on a package of rent regulation bills that include many of those in R3's legislative proposal. A2459-A(Cal 445) O’DonnellSame as S523a Krueger, L.
7 East 7th Street, at corner of 3rd Ave.
Click here for a flyer in English. Click here for a flyer in Spanish. *(Adapted from http://www.nycrgb.org/downloads/guidelines/ProposedGuidelines2012.pdf) Registration of speakers is required. Pre-register for the June 13 hearing in the Bronx at (212) 385-2934 until 1:00 P.M. on Tuesday, June 12, 2012. 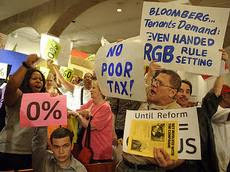 Pre-register for the June 18 hearing in Manhattan at (212) 385-2934 until 1:00 P.M. on Friday, June 15, 2012. 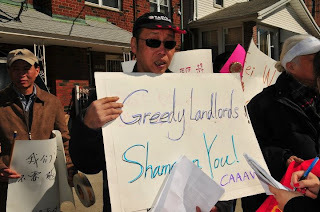 Stand in Solidarity with 11 Allen Street Residents Fighting For Their Homes! 9:30 AM at the Manhattan Housing Court, 111 Centre St.
For more information, click on "read more" below. Last year, our rent laws were renewed and even strengthened, but we are still facing unfair rent increases and displacement pressures. Many landlords are using every loophole available to raise our rents and it’s time to say, “enough!” As a community, as a borough, as a city, and as a state, we are coming together to say we need stronger rent laws NOW! When rent laws are not strong - or not enforced . . . 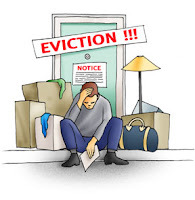 Tenants suffer when rent regulations are not enforced. Two hundred tenants at 2400 Webb Avenue - a rent-regulated building - were forced to relocate when their landlord had the fire escapes removed to repair brickwork. Tenant protections must be stronger - both written into the law in Albany and in enforcement by the City's Department of Housing Preservation and Development (one of whose inspectors approved removal of the fire escapes - in the absence of any other fire protection); and the State's Housing Community Renewal. 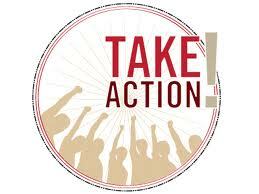 One R3 organization, Tenants & Neighbors, is working to get our laws enforced. Print out and sign one of their postcards to Governor Cuomo to beef up the enforcement unit. Por el folleto mismo en español, haga clic aquí and make your voice heard at the June 13 and June 18 RGB public hearings. Click here for talking points and here for the flyer with the schedule and location. Tell Sheldon Silver, "Just say NO to J-51 renewal - unless tenant protections are seriously strengthened." J-51 is a tax benefit program for owners making major repairs to their buildings. Owners get these tax breaks for a period of years - during which tenants become rent regulated, and those who are already regulated must remain so. The J-51 program was intended to help the residents and owners of poorer buildings make these crucial repairs.That's the good news. But landlords want the bill renewed without strengthening the rent laws, and with a provision that would let them pay back the tax benefits in exchange for being able to de-regulate apartments (ousting the tenants who happen to live in them). And the City is losing millions of dollars in tax revenue. 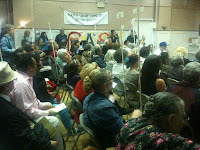 There was an overflow crowd at the June 7th Tenant Town Hall. Tenants from the Lower East Side, Washington Heights, the Bronx, the West Side, and even the Upper East Side of Manhattan perched on the stairs and in the balcony of the auditorium once the seats filled, and then filled Hartley Hall's backyard, listening from a speaker rigged up as the crowd grew. Tired of soaring rents? 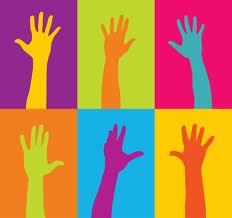 Need stronger tenant protections NOW? Town Hall Meeting on Tenants’ Rights and Housing Affordability! Click here for a flyer in Spanish . Spanish translation will be provided at the Town Hall.